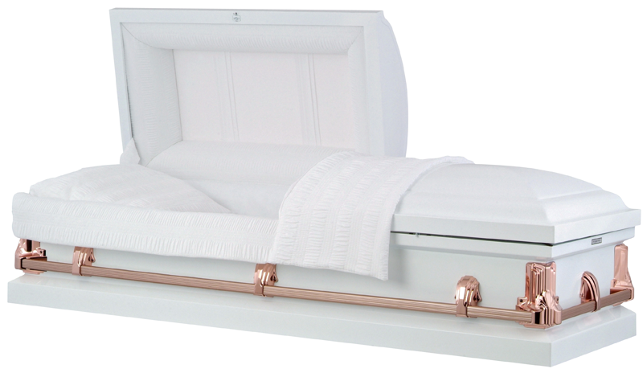 Exterior is finished in Dark Venetian Bronze and Copper. 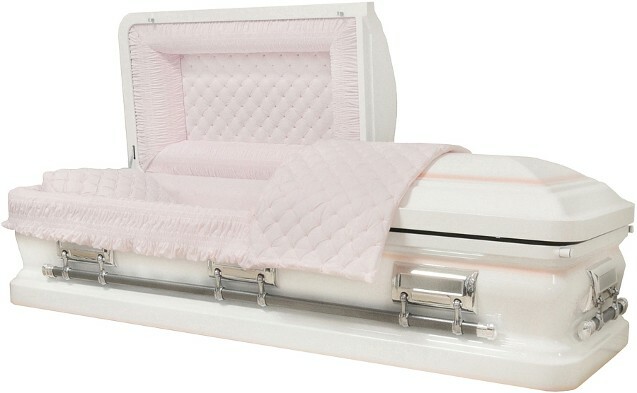 Interior is Rosetan and features a "Praying Hands" panel. 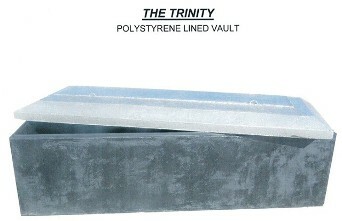 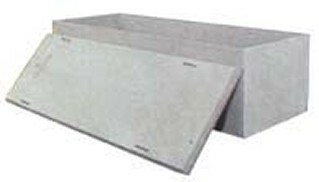 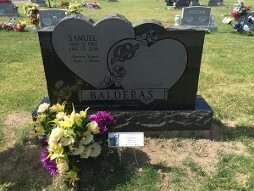 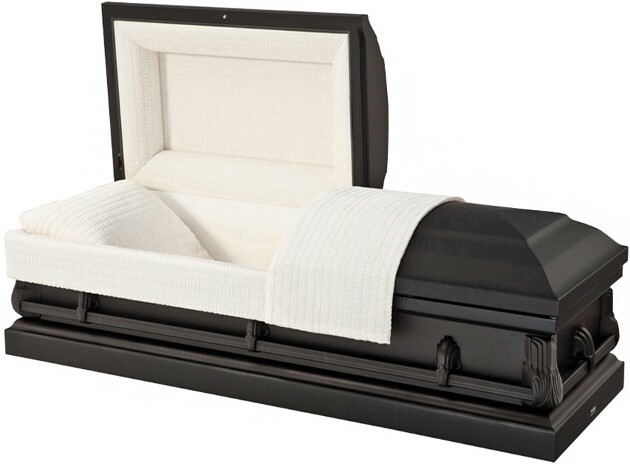 Comes with Standard Concrete Grave Liner. 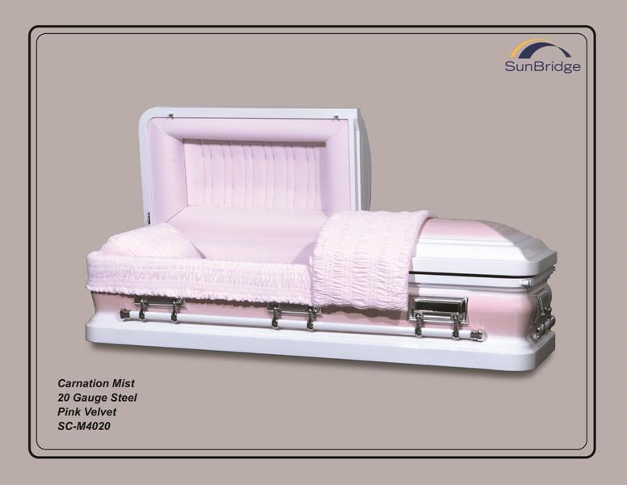 Due to photography & printing process color may not match exactly. 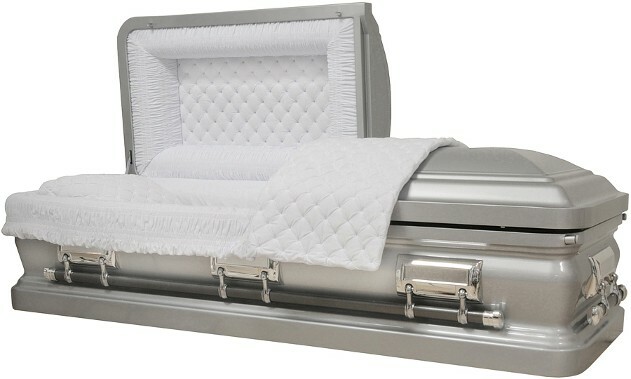 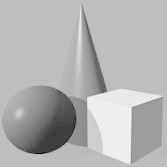 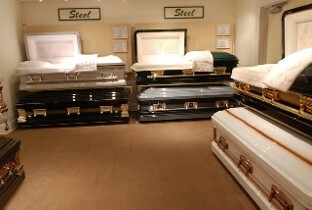 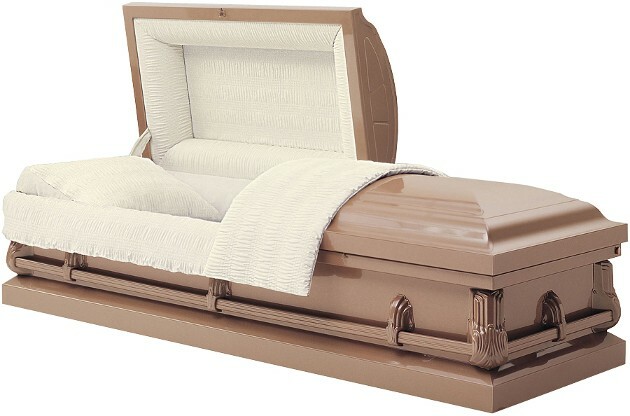 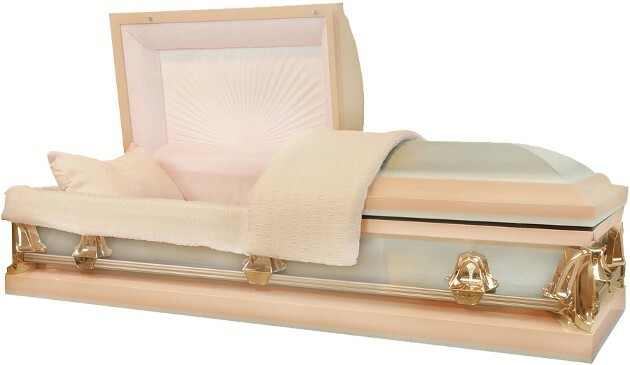 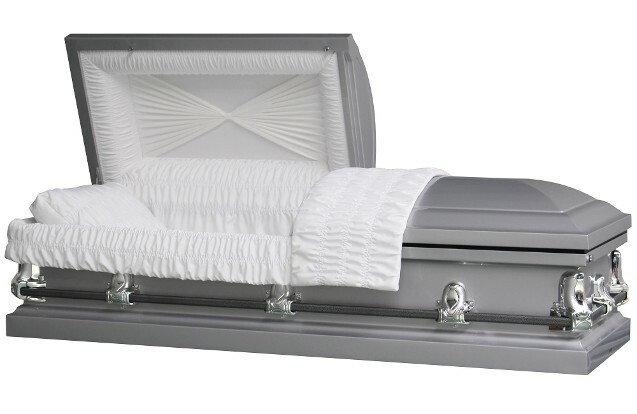 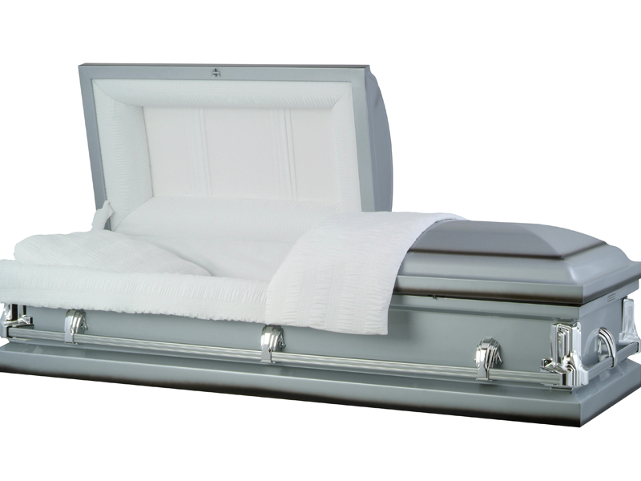 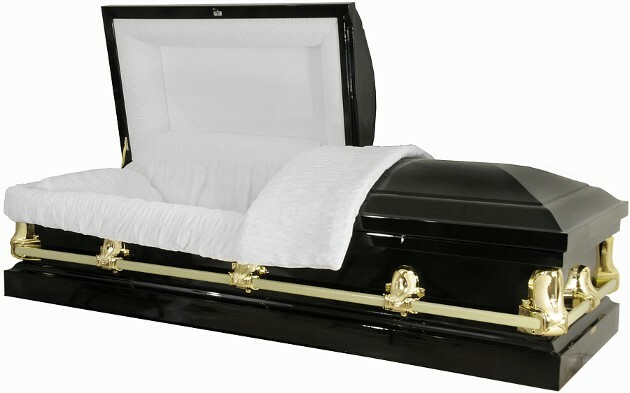 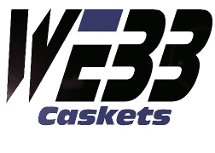 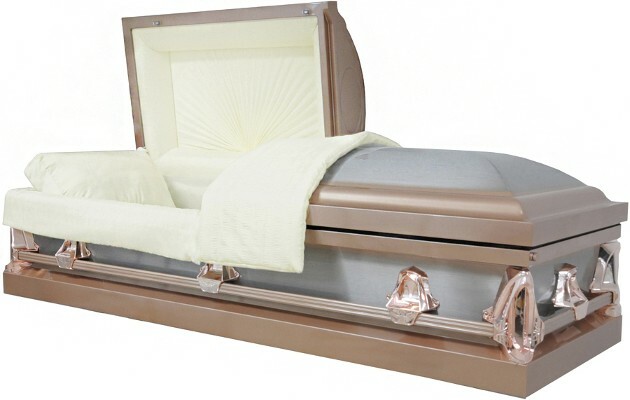 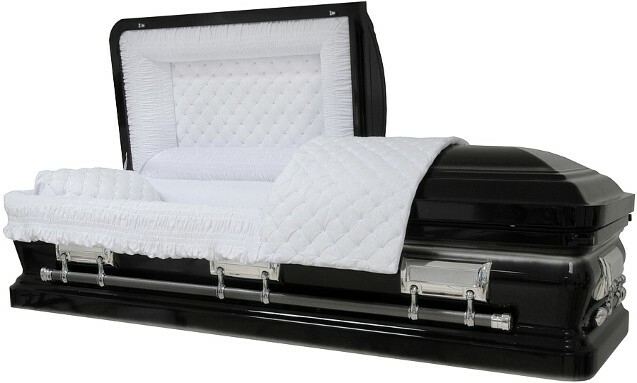 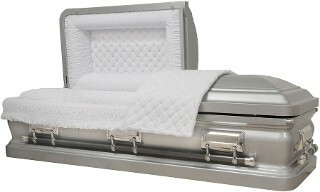 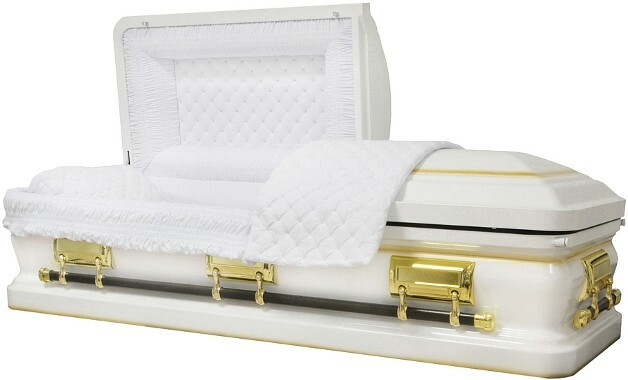 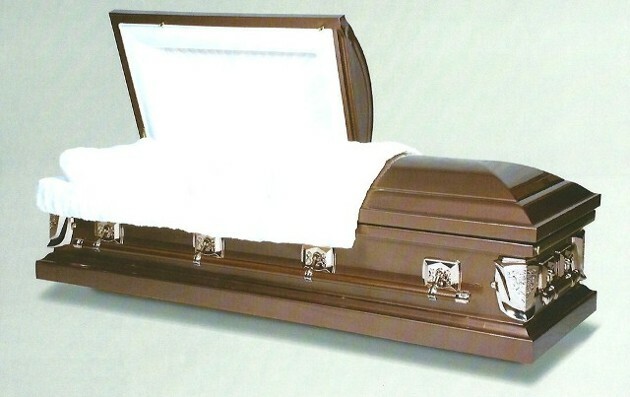 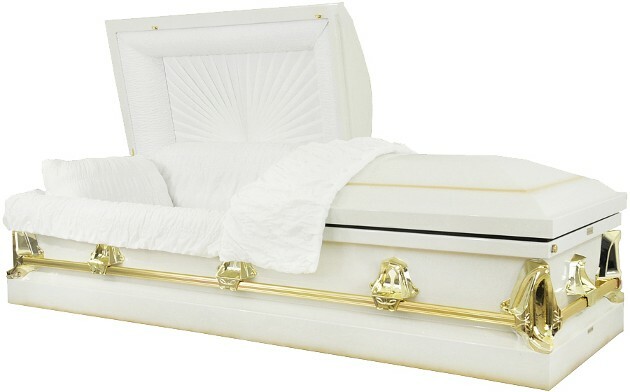 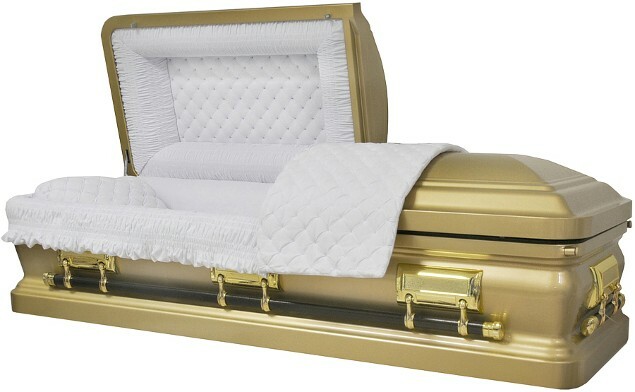 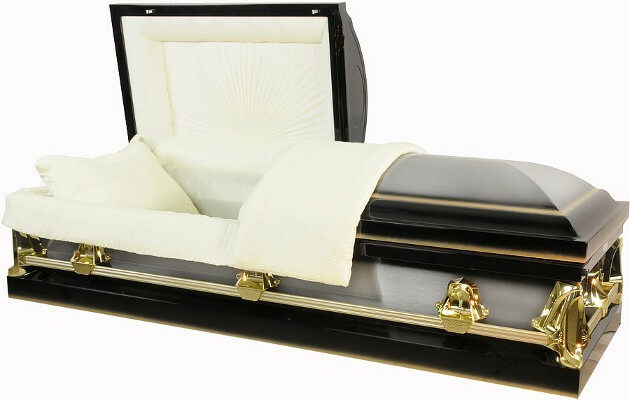 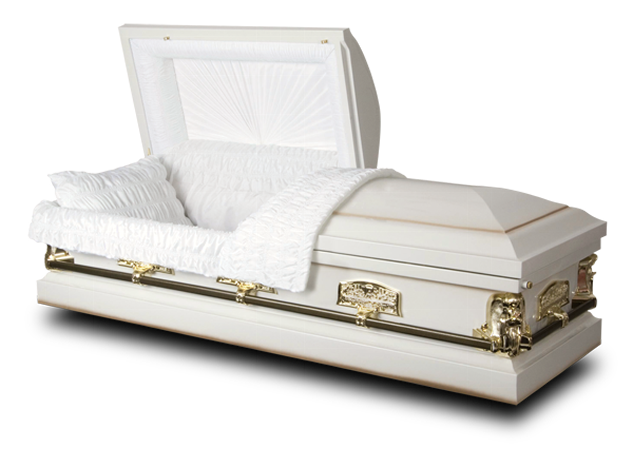 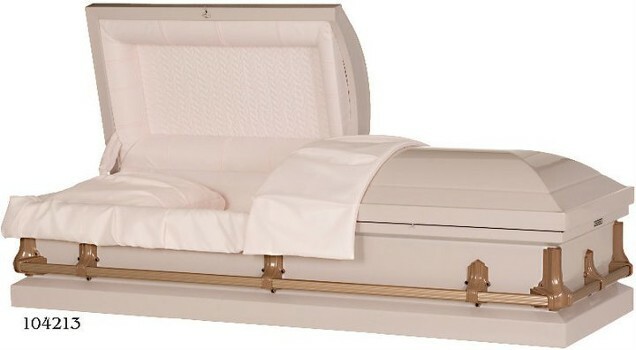 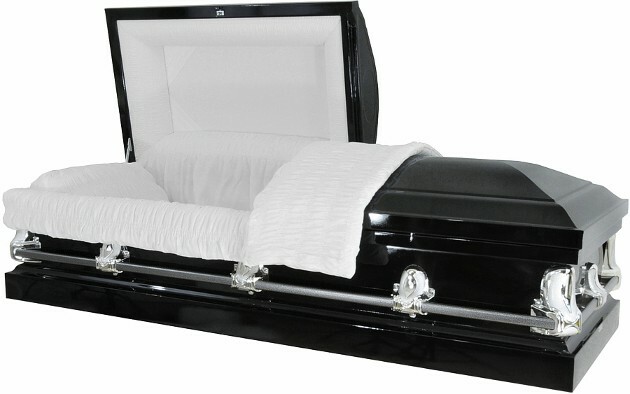 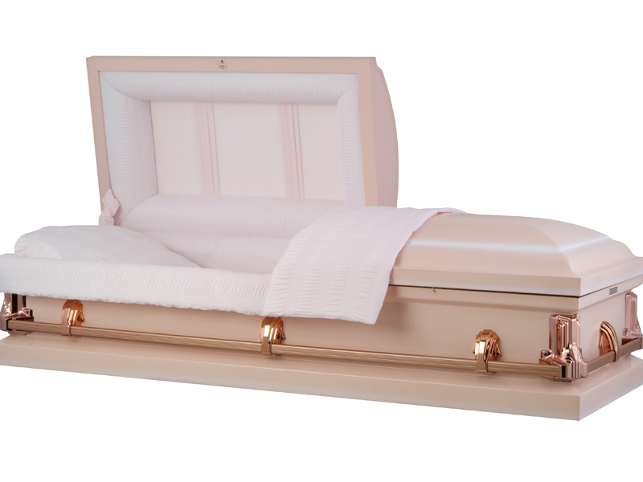 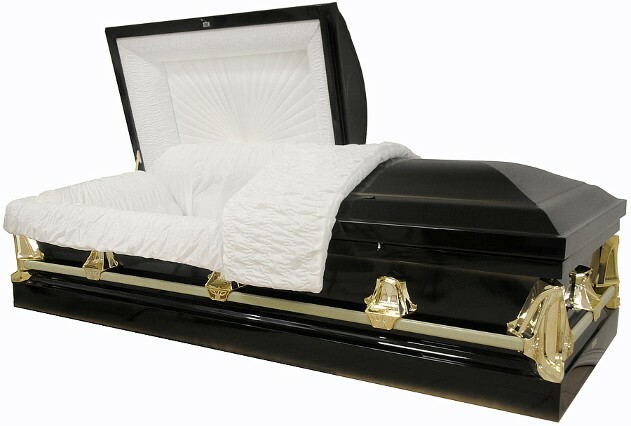 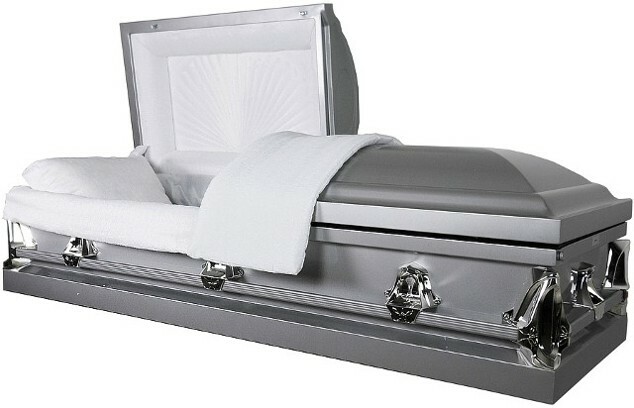 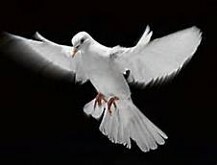 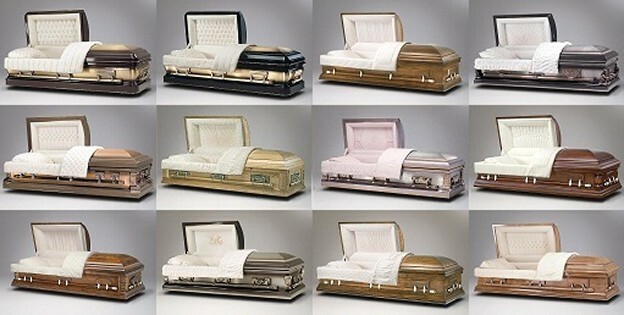 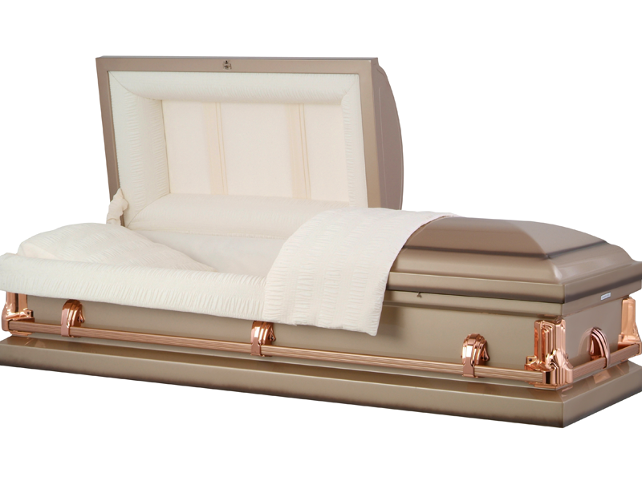 THERE IS NO SCIENTIFIC OR EVIDENCE THAT ANY CASKET OR VAULT WITH A SEALING DEVICE WILL PRESERVE HUMAN REMAINS. 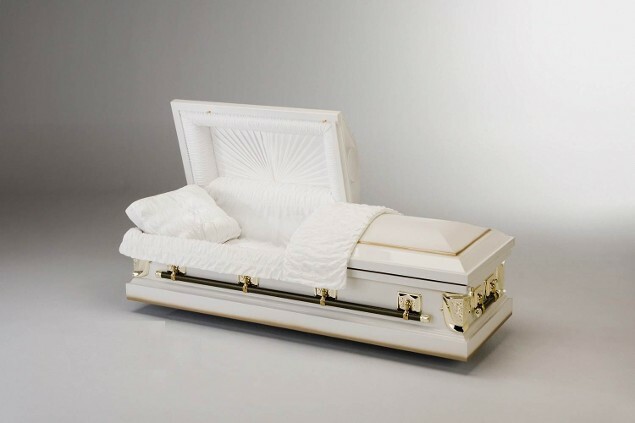 Antique White Shaded Gold, Interior Color: White Crepe Interior with matching pillow and throw. 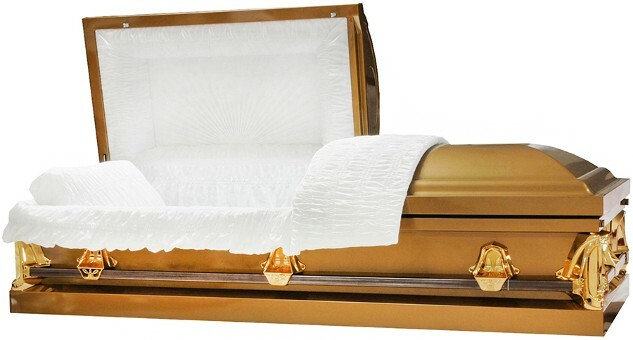 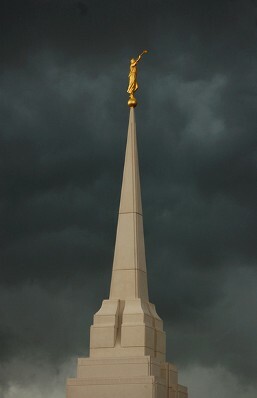 The exterior is decorated with gilt-tone guardian angel cornices, gilt-tone Last Supper ornamentation and full fixed handle bars. 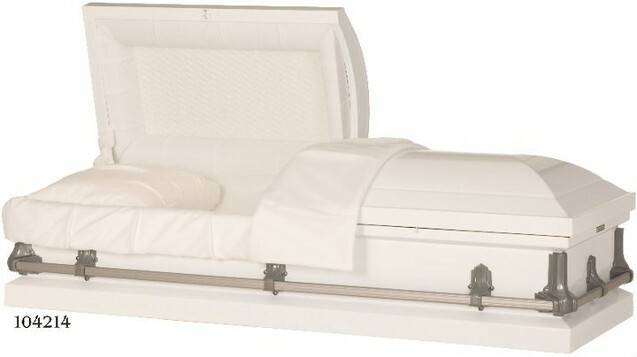 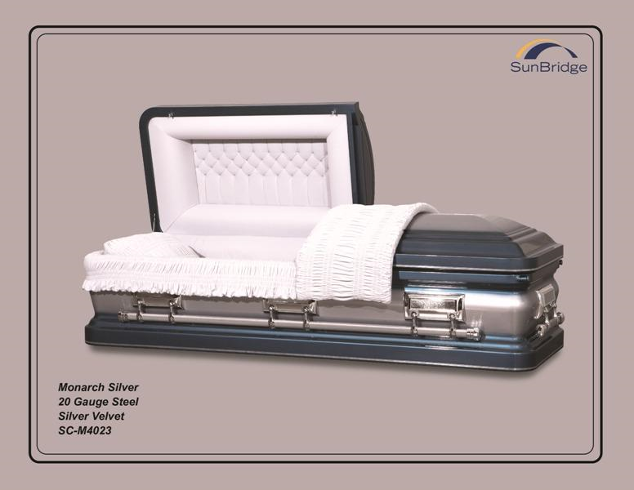 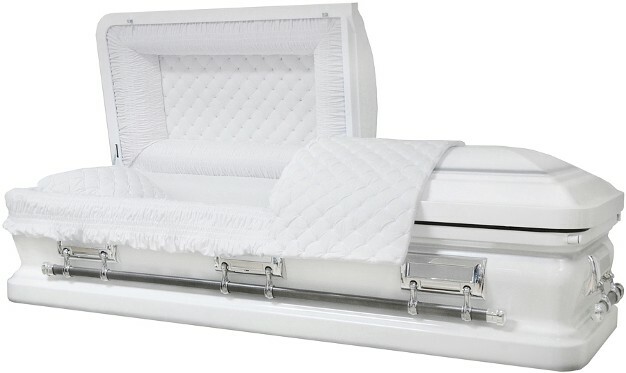 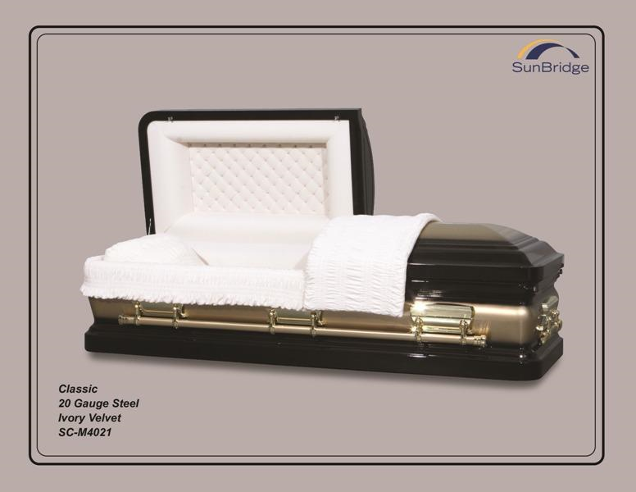 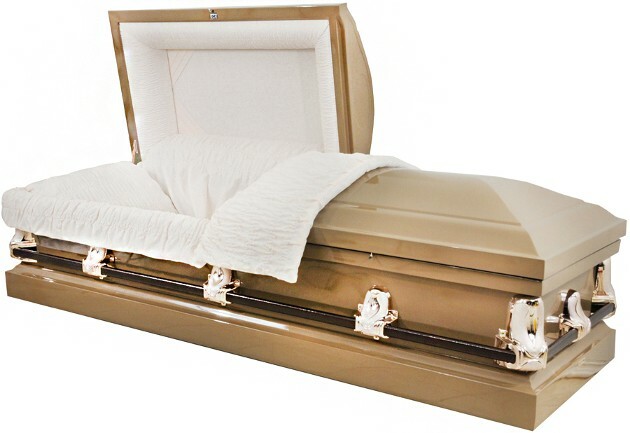 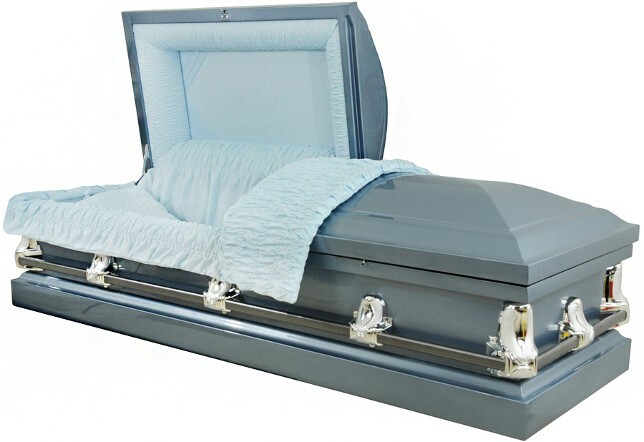 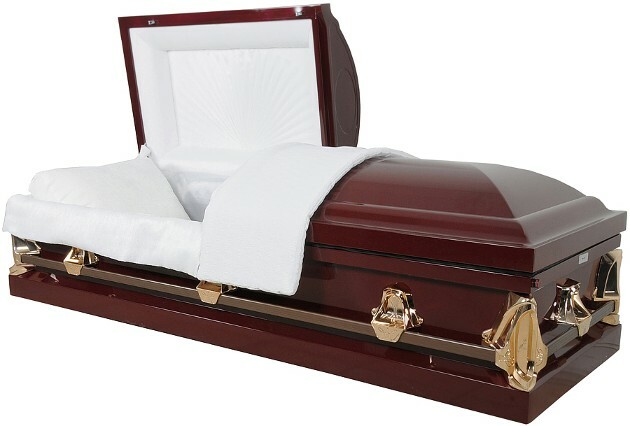 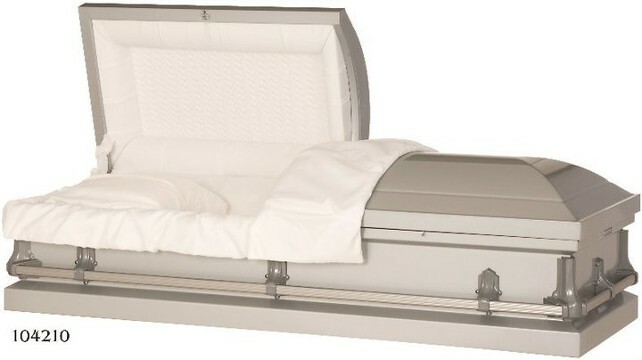 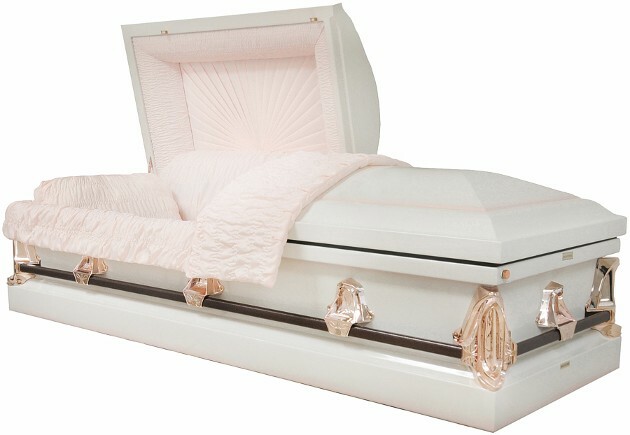 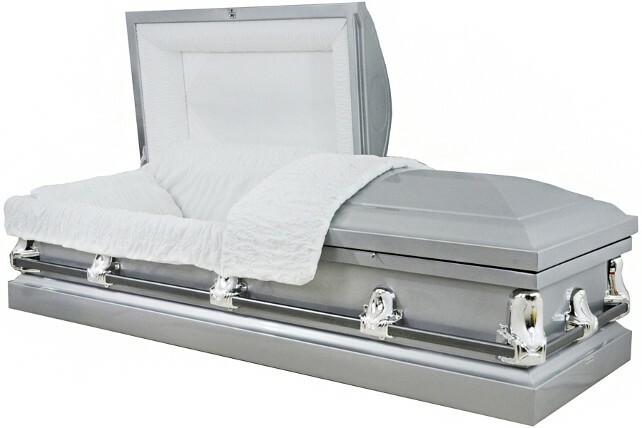 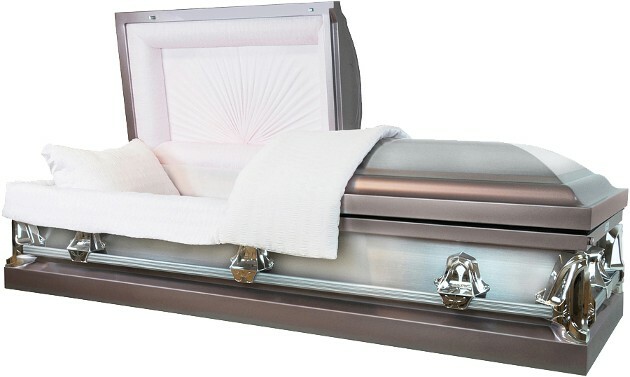 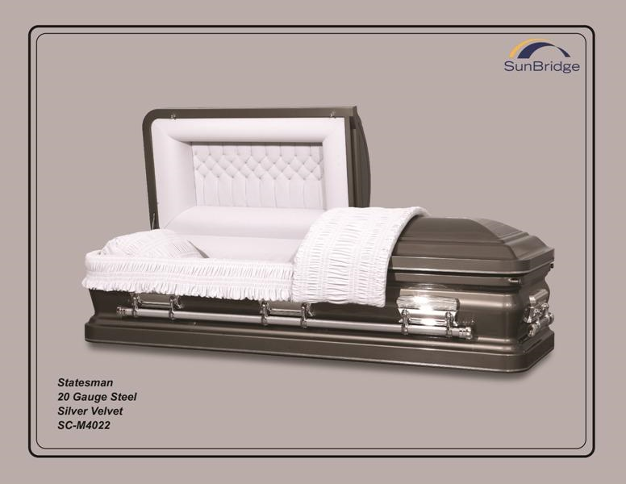 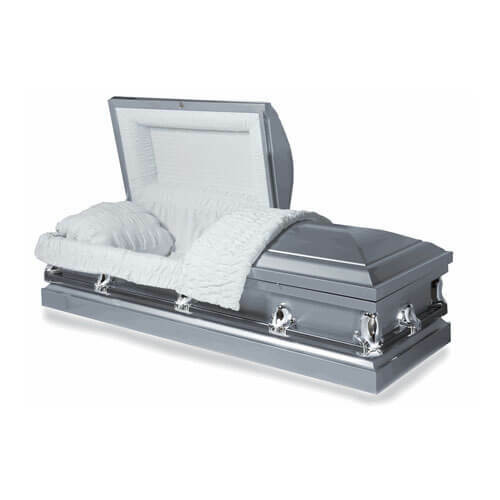 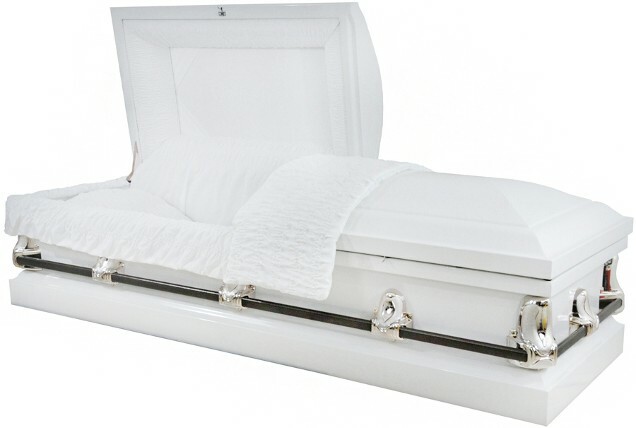 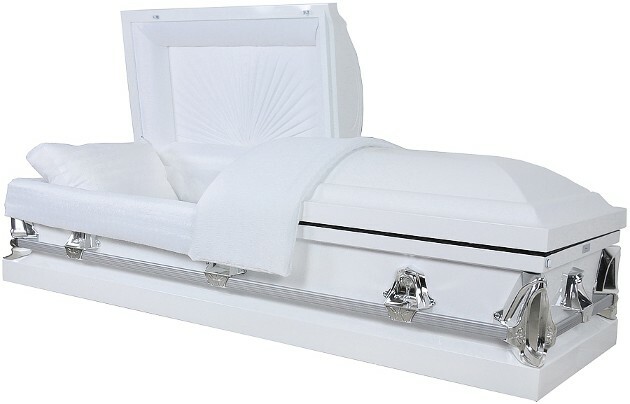 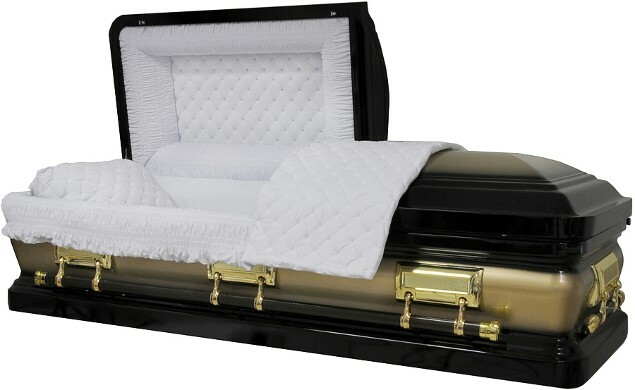 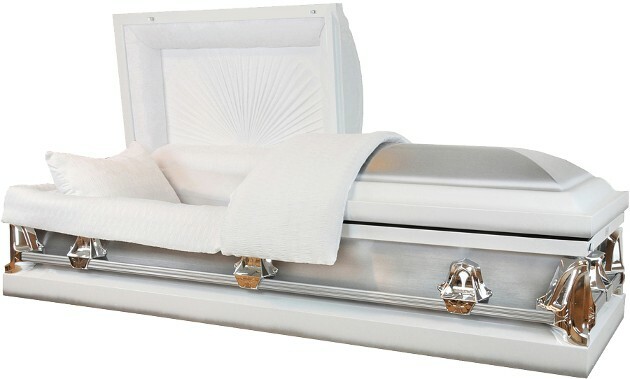 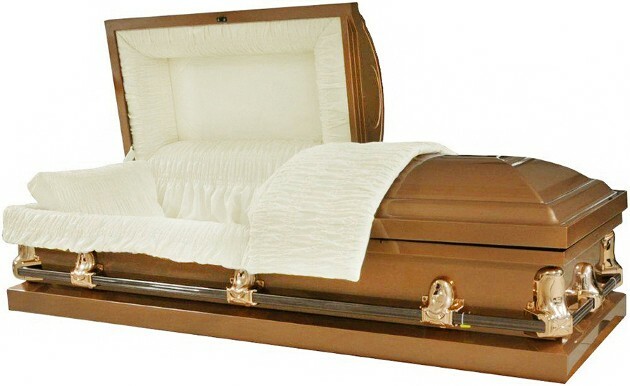 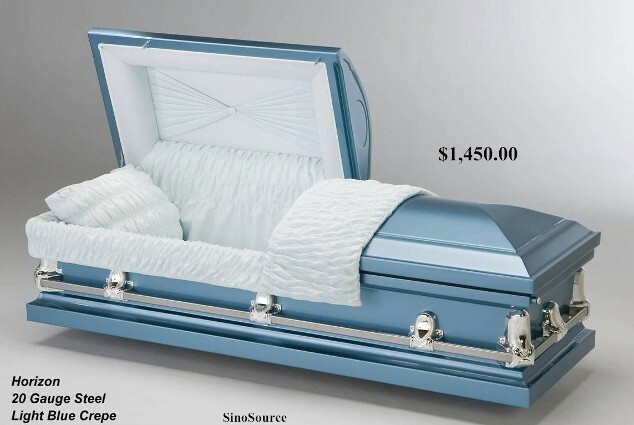 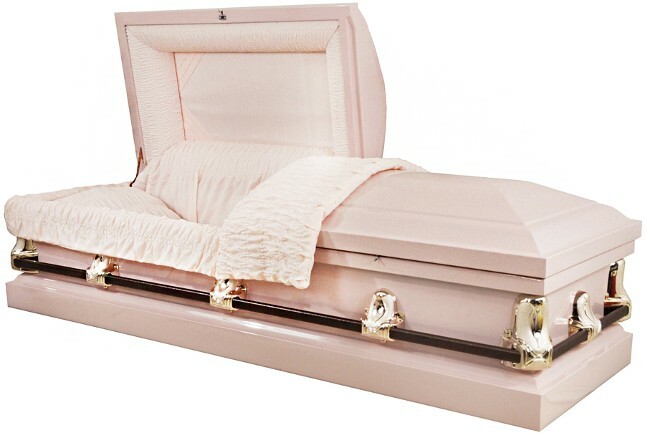 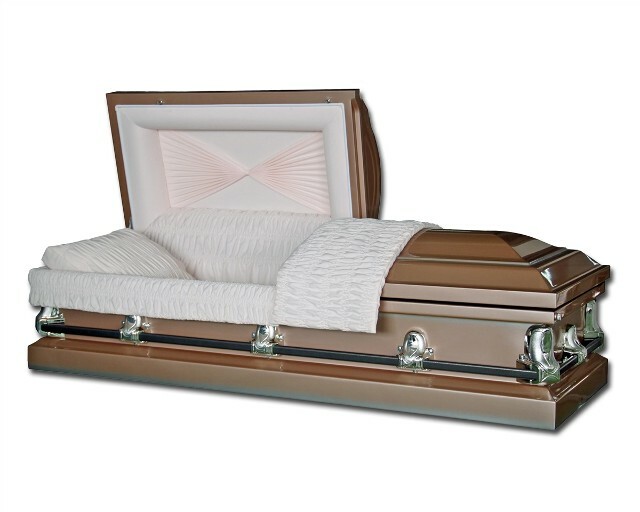 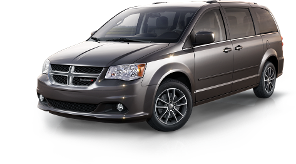 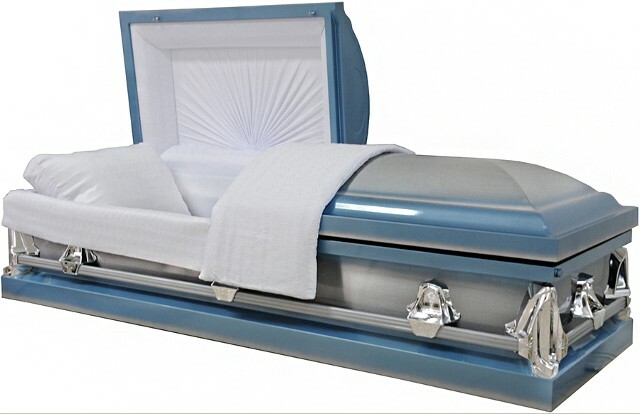 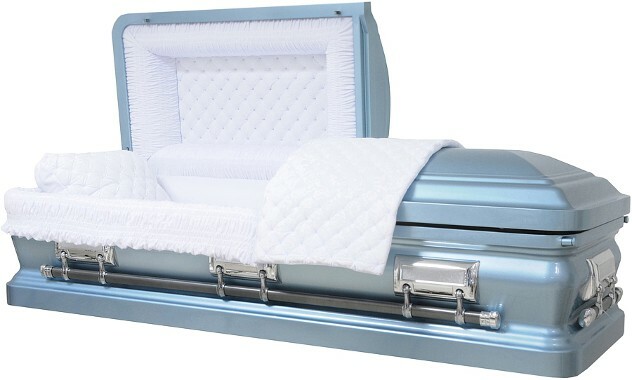 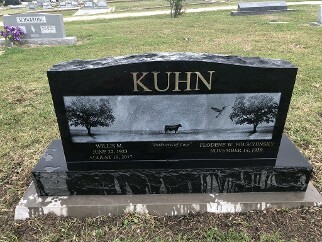 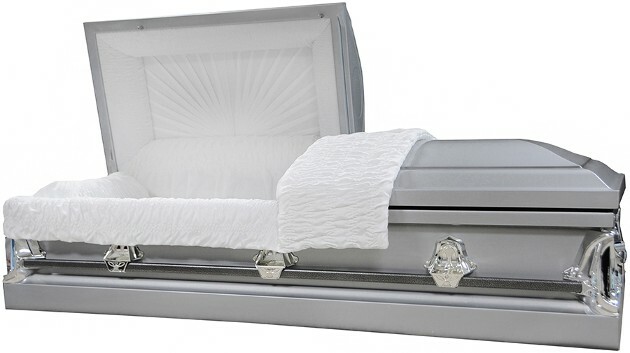 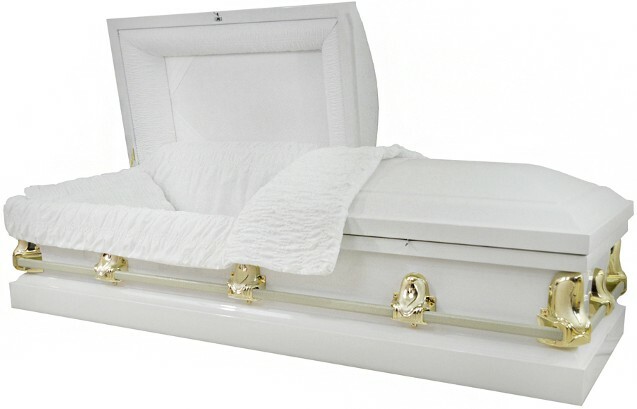 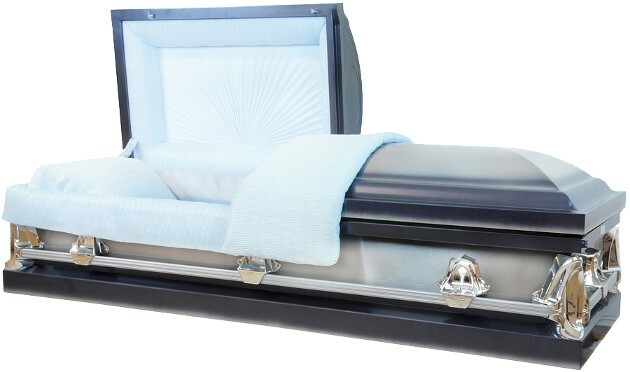 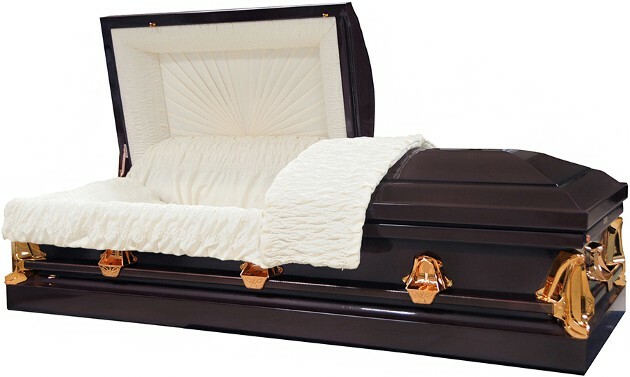 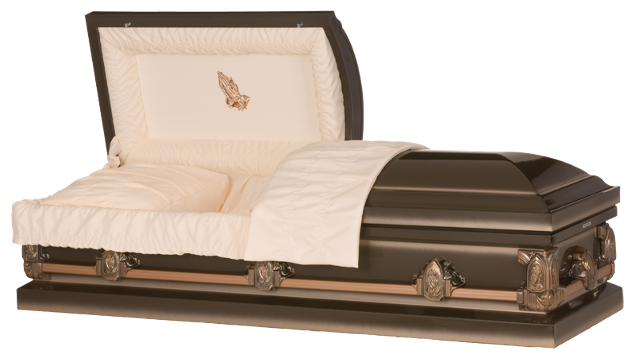 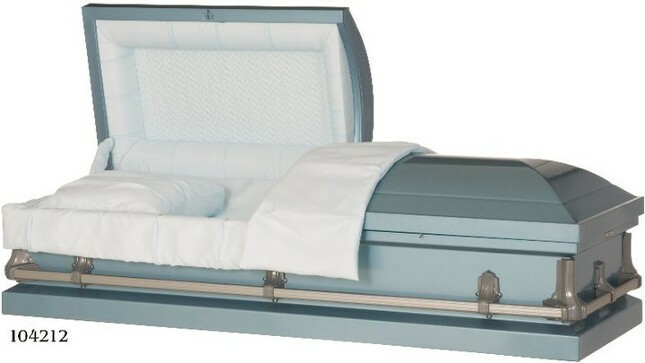 The price quoted excludes applicable Sales Tax 8.25% Due to photography printing process colors may not match exactly There is no scientific or evidence that any casket or vault with a sealing device will preserve human remains.